Called Slybox, the piece of storage has five draws of decreasing size. Each has grooves in the sides, which slot onto the frame made of bent steen rods. 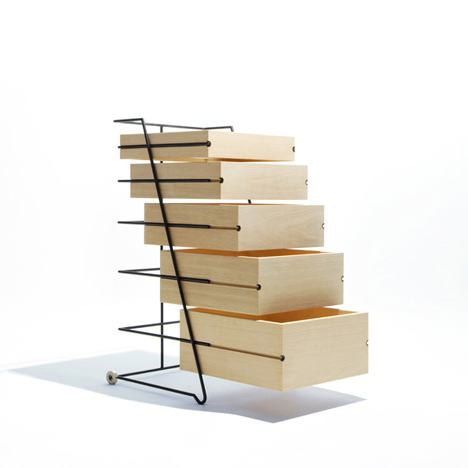 "This drawer uses the box which have simple detail as possible in minimum structure," says Ashizawa. Photographs are by Yosuke Owashi.